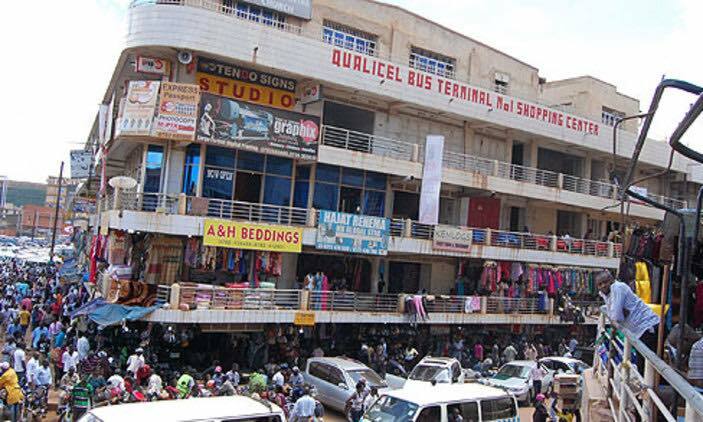 KAMPALA – Business tycoons Drake Lubega and Mansur Matovu aka Yanga have been dragged to court by traders of Qualicell bus Terminal, Nabukeera Plaza and Jamboree Arcade seeking orders to deposit their rent in court until issues of who should manage the three buildings is settled. According to the court documents filed on Tuesday, April 2, 2019, 292 traders led by their chairperson Denis Muganga, have also asked court to summon the three fighting parties who also include Horizon Coaches Ltd belonging to the departed car rally driver Charles Muhangi to appear and explain to court who is the rightful owner and manager of the suit premises. The traders accuse Mr. Lubega and Mr. Matovu of deploying security, stick-wielding men and closed their shops while demanding payment of double rent fees that they have been paying to Horizon Coaches Ltd for the last five months. The group contends that following November 5, 2018, Supreme Court order that placed the management of the three buildings under the Horizon Coaches Ltd, the buildings were renovated and renamed Horizon city and Bazanyanengo from Qualicell bus Terminal and Nabukeera plaza respectively and each tenant was tasked to pay UGX1.2 million as tenancy registration fee which they did. They claim they have been paying rent fees stretching from UGX400, 000 to UGX3 million to Horizon Coaches until sometime in February 2019 when Lubega and Matovu showed up each claiming ownership and management of the buildings. The traders say that on top of asking them to pay rent for 5 months, disconnecting electricity and other utilities and locking their shops, the two businessmen have also threatened to evict any trader who continues to pay rent to Horizon Coaches. They are also seeking court to issue an injunction stopping the 2 businessmen from further trespassing and interfering with their business premises until issues of management are clarified. They also want the two businessmen to pay them General damages for loss of business and inconvenience. Mr. Lubega and the late Muhangi; former managing director of Horizon Coaches were for a long time locked in a land row concerning the three buildings until 2018 when ownership and management of the contentious property was placed under the latter following withdrawal of an appeal by Mr. Lubega before the Supreme Court.